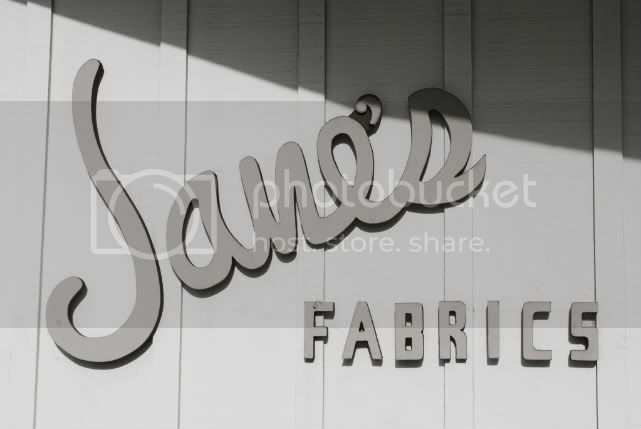 The best fabric store in San Diego has got to be Jane's Fabrics in La Jolla. 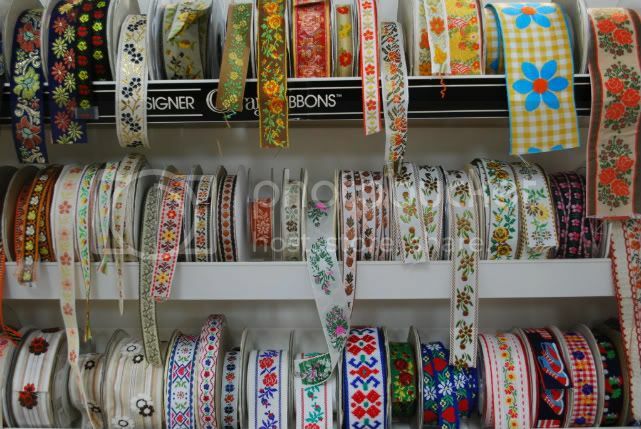 Not only does she carry the most beautiful fabrics but she has imported French ribbons & lace. Most of which are not even made anymore. It is hard not to get a few yards of something if I am close by. Plus the beautiful cotton ribbons below are so reasonable. The ones that I got were $1.15 a yard which is cheaper then most flea markets and much better quality. ooh! I need to bookmark this for my next trip to San Diego. good to know...i have been looking for a good local fabric shop! I love that you love Jane's...there is something for everyone behind those thick glass doors!! The world's a prettier place with Jane's.....in it! !